Portugal is a beautiful with a very diverse landscape and it’s capital city – Lisboa – is a great and lively city in one of the biggest estuaries in Europe and by the sea. Please see this video click here. June is a great time to be in Lisboa. On the 13th is the city holiday and there are many concerts and all types of parties during the month. Weather is usually very good. 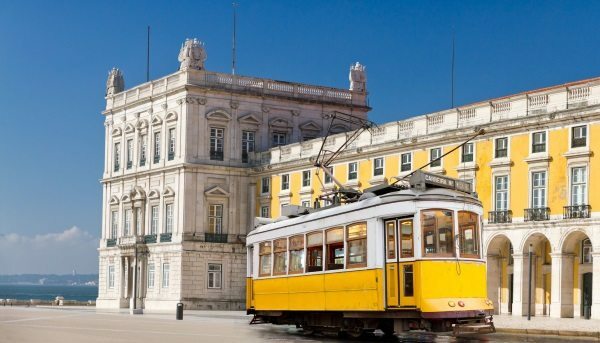 We have designed a social program outside Lisbon, because there are very interesting places to see and enjoy where it’s much more difficult to go for foreigners than the places at Lisboa. For participants (included in the registration) and accompanying persons (optional): winery visit, wine tasting and dinner. Leaving from Altis Grand Hotel at 5p.m. For accompanying persons (optional):, Leaving in the morning from Altis Grand Hotel to Sintra up to Pena Palace. Cross the Sintra mountain and arrive at Cabo da Roca where you receive a certificate of being at the westernmost point of the European continent. Descend a scenic road to the coast (to Guincho) where you will have an excellent lunch by the sea. Return to Hotel Altis about 4:00 pm in time for a brief rest before leaving for the wine taste and dinner. Restaurant for lunch: click here. Price includes tour guide and his/her expenses, Pena Palace ticket, Lunch in Monte Mar Restaurant, Touristic Bus and its expenses and Cape Roca’s Certificate. Minimum participant number for this optional tour: 15. Departure from Lisbon to Batalha, to visit the Monastery of Santa Maria da Victória. Built in 1388, it is undoubtedly one of the most beautiful examples of Gothic in Portugal. Then, we will move to Alcobaça, a Roman settlement known for its principal attraction, the Abbey of Santa Maria, a masterpiece of Cistercian Gothic art, declared a World Heritage Site by UNESCO, which we will visit. Lunch in a local restaurant. We will then go near the sea, where we will encounter the fishing village of Nazaré. Known by surfers from all over the world, we walk along the seafront to find the elevator that takes us on a scenic trip to the Sítio da Nazaré, where there is a viewpoint with a privileged view of the village, the beach and the Atlantic Ocean. Our journey, on the way to Lisbon will stop with a visit to the famous “Town of Queens”, Óbidos, a charming Portuguese town, completely enclosed within the ramparts of the Medieval Castle. We shall walk around the narrow streets enjoying the suggestive frame of this little town. Price includes tour guide, his/her expenses, touristic bus, Batalha & Alcobaça Monastery tickets and lunch in a restaurant in Alcobaça. If this number is not reached the money will be refunded.